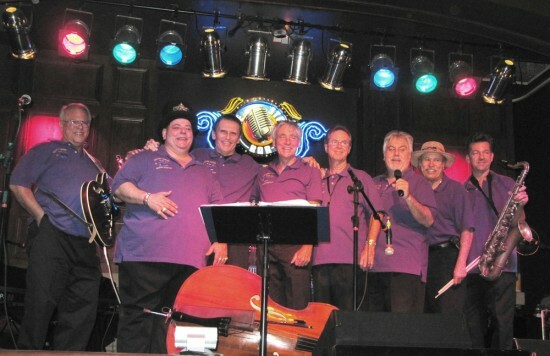 Cullen Landry, center, with an early version of The Jokers featuring lead singer Chuck Cavet, bottom; Gene Joubert, kneeling at left; Eddie Roth, standing at left; Cliff Achee, standing at right; and Frank Sanders, kneeling at right. British expatriate and tradition-obsessed bandleader Andrew Hall spoke those words in a 1993 Times-Picayune series on the impending loss of New Orleans’ second generation of jazz pioneers, who were then in their 80s and 90s. Though Hall’s assertion that “there’s nothing here now” is debatable, 23 years after that newspaper series, one could almost express the same sentiment about the fragile state of classic New Orleans rhythm and blues. Visitors who come to New Orleans in search of the first- or second-generation architects of R&B and rock ’n’ roll will be hard-pressed to find the true pieces of the cross. Fats Domino, Dave Bartholomew, and Huey “Piano” Smith have retired. Tommy Ridgley, Allen Toussaint, and Harold Battiste, to name just a few, are sadly deceased. A few active torchbearers from the golden age remain — such as Irma Thomas, Al “Carnival Time” Johnson, Joe Clay, Deacon John, and Mac “Dr. John” Rebennack — but some are more visible than others. Apart from a dwindling number of hidden local jewels still plying their art in inner-city and suburban lounges, VFW halls, casinos, and at The Ponderosa Stomp, tourists often are left with thin gruel when seeking out the city’s original jump-jive-and-wailers. But if you’re looking for the real deal in this decadent age where authentic New Orleans R&B has become as rare as hen’s teeth in the very urban swamp that spawned it, look no further than Cullen Landry and Midnight Streetcar. 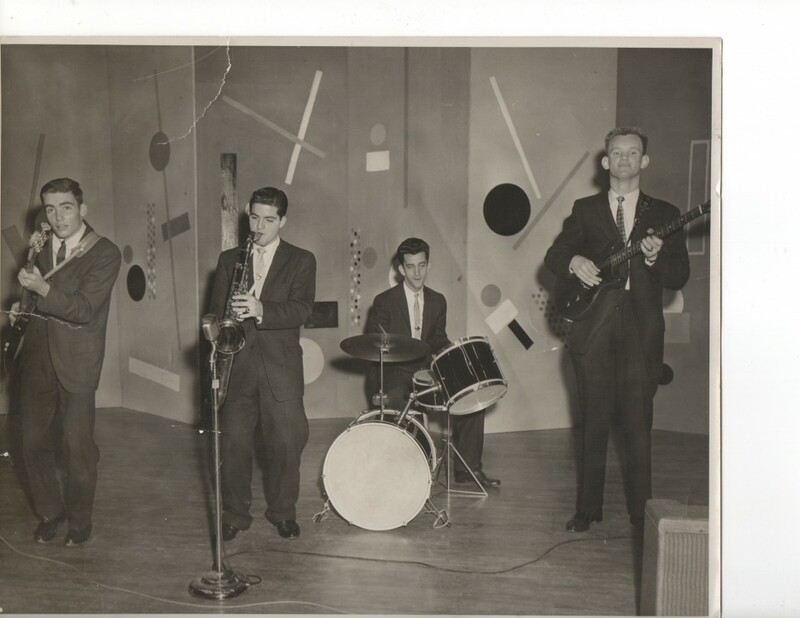 Joker members Cullen Landry, left, and saxophonist Gene Joubert take first place in a Jesuit High School talent show in the 1950s, joined by drummer Eddie Daigle and guitarist James “Red” Develle. A Louisiana Music Hall of Fame inductee, Landry received that accolade for his role as inaugural bassist for The Jokers, arguably the undisputed kings of the battle-of-the-bands contests waged in the 1950s and ’60s at (mostly white) Catholic school auditoriums, teenage clubs, and Masonic lodges around New Orleans. 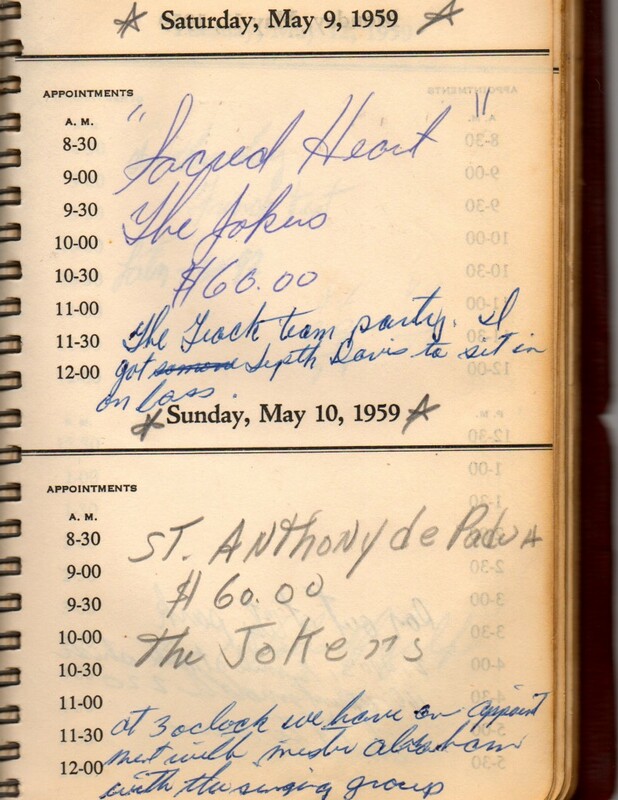 Two Jokers’ gigs are documented in Cullen Landry’s 1959 daybook. 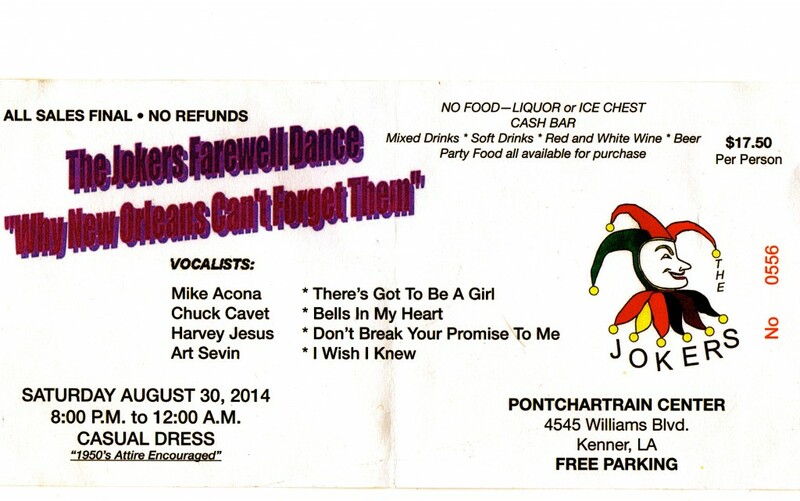 Formed in 1957 by Eddie Roth, Herman Gilmore, Roland “Stone” LeBlanc, and Jerry Marque and making their debut on a Jerry Lewis telethon broadcast, The Jokers to this day are the band that New Orleans can’t forget. Though Roth has been the lone perennial mainstay, The Jokers have featured more than 20 members through the decades, including Landry and his Jesuit High School classmate Gene Joubert. 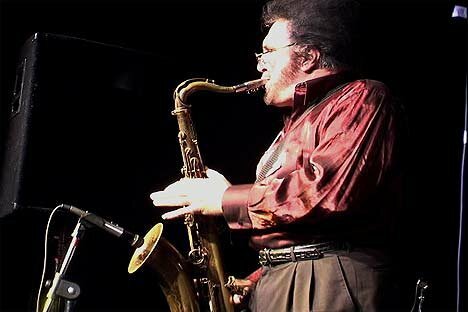 A series of now-iconic singers have fronted the band: LeBlanc, 1957-59, who left to join Rebennack’s Skyliners; Chuck Cavet, 1959-60; Mike Ancona, 1960-65; Stark Whiteman, 1961-65; Art “Sir” Van, 1965-67; and Harvey Jesus, 1967-75. Their definitive hit for the ages, the cha-cha-infused “There’s Got To Be a Girl,” sung by Ancona and featuring the manic melodic sax of Frank Sanders, still elicits screams when it’s unveiled at their increasingly rare, packed-to-the-gills reunion shows. Leaving The Jokers before they cut their first 45s in order to pursue a multi-decade career in law, Landry nonetheless never let the songs go out of his heart — so mesmerizing were his memories of busting his R&B cherry while woodshedding tunes with Roland Stone in his Faubourg St. John home, or backing Professor Longhair or Eddie Bo for the first time at fertile rock ‘n’ roll incubators like Germania Hall during the waning days of Jim Crow. Dusting off his old 1959 Fender Precision bass around 2003, Landry formed the original incarnation of Midnight Streetcar with three superheroes of local music: pianist Al Farrell, saxophonist Jerry Jumonville, and drummer Freddy Staehle. The trio’s collective credits are legion, stretching from the Quarter to California, but each got his start in rival teenage bands named, respectively, The Counts, The Matadors, and The Emperors. Guided by the Jesuit principle of “A.M.D.G.” (or “To the Greater Glory of God”), Landry’s primary goal was to re-create the original 45s of his youth with passion and authenticity. “I want Fats Domino up there; I want Huey ‘Piano’ Smith,” Landry said of the sound he aims to achieve. 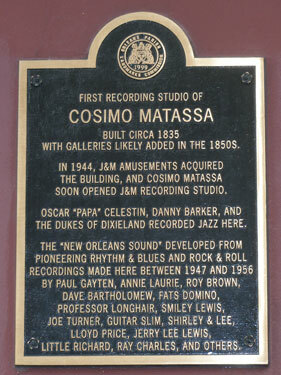 “The reason I put (Midnight Streetcar) together was to preserve this music by playing it live, authentically, the way it was recorded in the beginning at Cosimo’s studio at Rampart and Dumaine streets,” Landry said in a 2015 interview. “That’s my passion.” And though Midnight Streetcar’s lineup has changed over the years, the mission has remained the same. And in executing that mission, Landry just kicked things up a few dozen notches with the addition of one of the legends of Bourbon Street: Johnny Pennino, “The Tenor Sax King of New Orleans” and a key cog of the storied ’60s house band at Papa Joe’s featuring an all-star murderers’ row of Skip Easterling, Joe Barry, Freddy Fender, and “Little” Joe Lambert, among others. 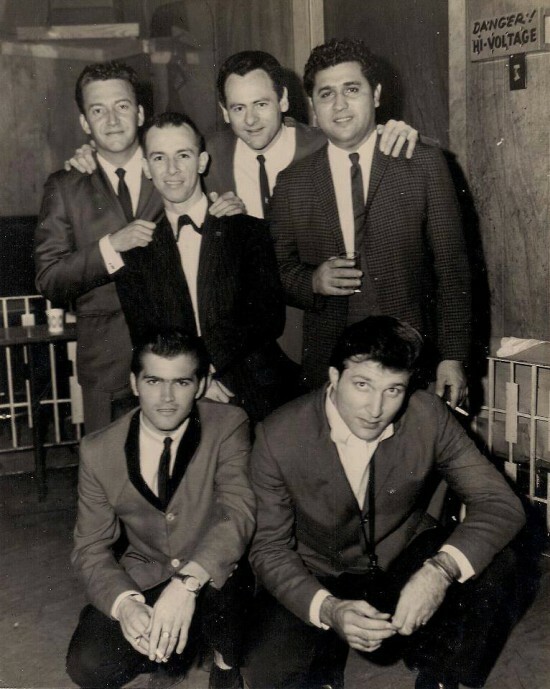 Johnny Pennino, bottom right, kneels alongside Skip Easterling as Joe Barry, upper left, Joe Lambert, Joey Long, and Freddy Fender take a break from their Papa Joe’s gig. 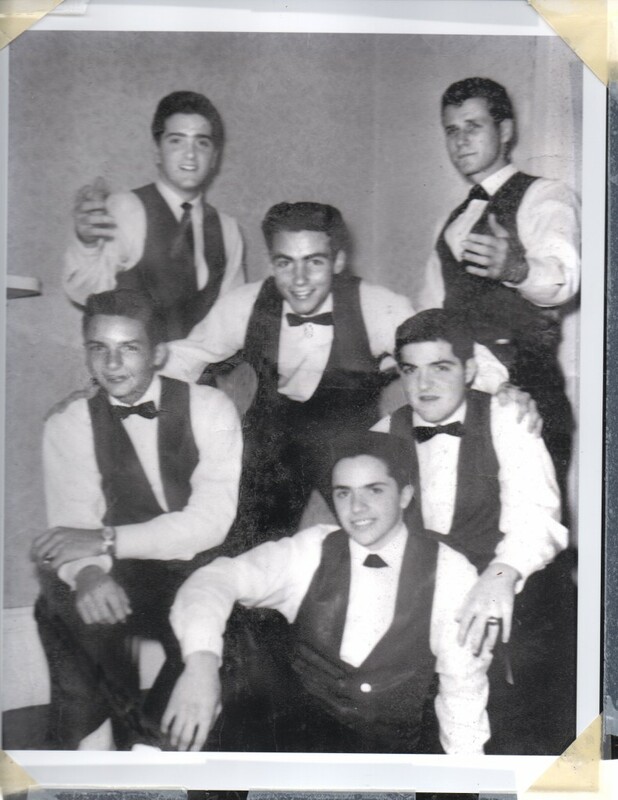 A disciple of Sam Butera and a former member of teenage band The Emperors, Pennino has played with everyone under the Crescent City sun since the ’50s. He once famously caught the ear of Duke Ellington, who offered him a job on the spot after hearing him blow nocturnally on Bourbon Street (he respectfully declined). Pennino has extensively toured Canada and cut several CDs, including Saxy-Country-Soul, recorded in Nashville with Elvis Presley’s backup singers, The Jordanaires. (Incidentally, Pennino can sing as well as he plays his nuclear-powered tenor horn.) Pennino also formed a longstanding musical partnership with a fellow paisano, the great guitarist Bobby Lonero, culminating in a 2010 New Orleans Jazz and Heritage Festival appearance in tribute to Louie Prima. And doing it they are. In the past year Landry has steered the Streetcar back to the breeding grounds where it all began, triumphantly re-creating the ’50s greaser zeitgeist at an overflowing “Back to Germania Hall” dance in June 2015, followed by a “Back to St. Anthony of Padua” dance in October 2015 to mark the parish’s centennial. Joining the Streetcar on several occasions have been the 9th Ward’s own Al “Carnival Time” Johnson — the epitome of Mardi Gras spirit made flesh — as well as chanteuse Judy Spellman, daughter of Benny Spellman of “Fortune Teller” and “Lipstick Traces” fame. WWOZ oldies disc jockey Bob Murret, aka “Rare on the Air,” also has given the band a frequent on-air forum for live performances at 90.7 FM. In addition to shows at The Max in Metairie and the New Orleans Botanical Garden, Midnight Streetcar also performed at this year’s kickoff Festival Bonfouca in Slidell on a bill that included Marcia Ball, Sonny Landreth, and Cyril Neville’s Royal Southern Brotherhood. Stay tuned for future gigs at the Silver Slipper Casino in Bay St. Louis, Miss., on April 15-16 and at the Treasure Chest Casino in Kenner on April 23. Also available is Midnight Streetcar’s 2010 CD titled Crescent City Transfer, featuring 12 tracks of mostly covers originally done by the first-generation giants of New Orleans R&B. The two lead vocalists on that CD, Laurin Munsch and Douglas “Phat 2sDay” Daniels, are still with the group today. A roughly 40-year veteran of local nightclubs as well as Las Vegas, Munsch brings dynamic virtuosity to the bandstand, wowing crowds with his vocal gymnastics during dead-on tributes to the late “Tan Canary,” Johnny Adams. A flamboyant showman the size of an NCAA offensive lineman, Daniels, meanwhile, specializes in tough barrelhouse R&B shouters a la Big Joe Turner, Roy Brown, and Smiley Lewis. New Orleans-style piano master Tom Worrell is one of the group’s newer additions, offering up perfect renditions of Professor Longhair’s rhumba-boogie style, complete with yodeling vocals. 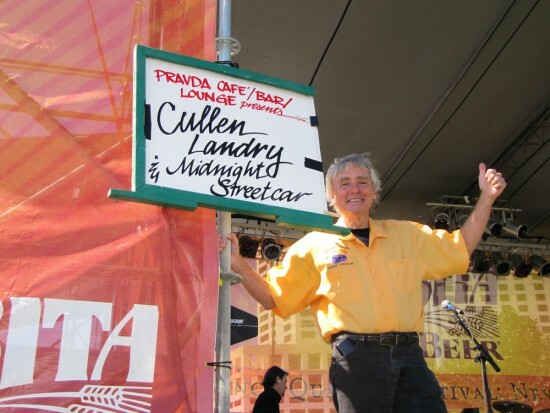 Pianist and organist Ray Shall, whose resume includes stints with Allen Collay, Lenny McDaniel, and Rene Netto, also rides the Streetcar on occasion. Rounding out the current lineup’s rhythm section are two pioneers of the 1950s and ’60s teenage-band circuit: guitarist Nat Montalbano and drummer Mickey Delarosa, both formerly of The Contours and here playing the roles of their childhood heroes, Roy Montrell and Earl Palmer, respectively. Meanwhile, a rotating cast of local saxophonists re-creates the classic parts of regular Cosimo hornmen Lee Allen, Herb Hardesty, and Alvin “Red” Tyler, including former Contour Barry Lacour, Larry Simpson, Derek Houston, Travis Blotsky, and Michael Scorsone. It should be noted that several of Landry’s fellow Joker alumni are still out there as headliners in their own right on the old-timer Yat circuit. Chuck Cavet — aka “Chuck Como,” whose silky-smooth renditions of “Bells in My Heart” and “I’m Not a Know It All” are treasured belly-rubbers to this day in the New Orleans canon — gigs regularly around town with his band Flipside (which includes Frank Sanders on sax), playing a great guitar and flaunting pristine angelic vocal chops that are miraculously intact. And the velvety-suave energetic Latin showman Harvey Jesus, who succeeded Art Sir Van as the Jokers’ lead singer in their final major active phase, also can be found putting on R&B-heavy shows in local venues from the New Orleans area to the Mississippi Gulf Coast. 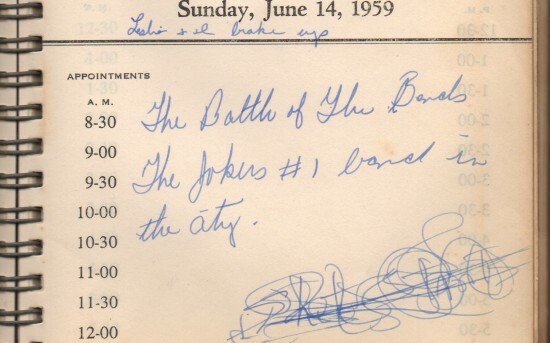 Cullen Landry’s 1959 daybook records another victorious notch in The Jokers’ belts. However, no one else is doing it quite like Midnight Streetcar — with an evangelistic fervor and a 100% laser-focused devotion to the classics that were cut all those years ago in that tiny earth-shaking ground-zero epicenter at Rampart and Dumaine. You won’t hear “Boogie Shoes” or “The Electric Slide” on Cullen Landry’s watch. But if you’re looking to hear the gospel of Cosimo Matassa in the 21st century, it doesn’t get any better than Midnight Streetcar — short of hopping in a time machine. The welcome addition of sax titan and unsung hero Johnny Pennino has only doubled down on this potent musical elixir that distills the essence of the Crescent City’s golden age with 200-proof firepower. Check out their schedule today at http://www.themidnightstreetcar.com/.